I saw the movement in my peripheral vision and stopped dead. I reached out with my mind to be sure. Nothing. Probably an animal I spooked. I shook off the uneasy feeling, and made my way to the family graves, stopping in front of my Great-Gran’s. I began the tending of the miniature garden of potted plants with hers. After all, she was where everything started. My Great-Gran died before I was born. I never got to see the smile my father and grandfather had loved to reminisce about, nor eat any of the pies she baked. Never had I listened to any of the crazy stories of her adventures with supernaturals that she was so fond of recounting, but I felt connected to her, nonetheless. I was named for her. She fascinated me. She had been a woman who accepted and loved all beings in this world. She’d had vampire lovers (no easy feat, I understood, even though it had been considered fashionable at the time – unlike now, when vampires had all but disappeared back into their secret world,) married a shifter, and was part Fae. She was amazing. And, a telepath. Like me. That particular family trait had not been passed to any of her children. I knew she’d had another relative with the ability. Hunter, I think his name had been, but he had disappeared early in adulthood, and no one ever really talked about him. I was the first in the family to receive the gift since. My father often talked about how much I looked like her, and he had given me her book. Well, it was more of a journal, I suppose, but it was my Bible. I learned so much about her, so much about how she coped in the cacophony that was the world in which we lived. As a child, it was invaluable. I don’t know how she had managed to survive without a guide of her own growing up. I mastered putting up shields by the time I was nine with the help of her book. Now, the Sookie-Book was never far from me. Though I had memorized every pen-scratch, it was a comfort to have it close. I rested my hands on her headstone, feeling the sun warming the cool granite as it climbed its way into the pink morning sky. “I’m going back to see Niall soon. We have lessons.” I told her softly. “He still talks about you. I don’t think he feels like so much time has passed. Sometimes, I think he confuses us. I guess, I really do look like you. Except my eyes. That’s what he always says.” My eyes, were not the cool blue I had seen in pictures of her. My eyes were the color of honey. Actually, they were a light hazel green rimmed on the inside with gold and sun-bleached, so they appeared yellow unless you were inches from my face. Niall often said they were a rare Fae gift. I’d never met anyone else with any similar, in either plane, so I took his word for it. Niall had come into my life when I was five. My father, of course, knew of our relation, but the Fae prince had never revealed himself to our family. We had been visiting my grandfather at the homestead in Bon Temps, when the man, who appeared to me to be bathed in golden light, appeared in our kitchen. Startled would be an understatement to describe the reaction my sires had, and wary a little more polite than accurate. I remember being confused, and scared because my daddy looked like he might hit the old, golden man, and he shouted a lot about leaving me alone. I’d never seen him act like that with anyone, let alone some poor old man who wasn’t hurting anyone, even if he had popped out of nowhere. Still, my daddy was angry, and, somehow, scared. I, on the other hand, was drawn to him immediately. Once the shouting stopped, and I knew no one was going to harm the beautiful visitor, I needed to touch him, and did so, gently stroking his aged cheek. He’d picked me up then, and settled me on his lap, speaking gently in the language of the Fae, which I didn’t then understand. But, they felt right. They felt like home. Niall whispered to me to give the men in the room time to speak to each other, and, reluctantly, I did as he bid and went to my room to play. A while later, he came to “my room,” and sat upon the bed that had belonged as a child to Great-Gran. “Do you know me, child?” he asked in a soft voice. “Yes,” I replied simply. Something about him called to something in me, and, with all the honest naïveté of a small child, I answered without reservation. “Yes,” I said again, wishing he would scoop me into his lap again so I could touch his beautiful face once more. I rushed then to his lap, and crushed my little body to him. I wanted nothing more than to leave right then to see this place where he was Prince. How could anyone, or anything be more beautiful and magical? That night, I received the Sookie-Book from my father. He had warned me when he gave it that though Niall was enchanting (I’m sure he hadn’t used that term, I think he said ‘neat’), he wasn’t always safe, and I needed to be able to protect myself. Still, I visited him in his realm every summer. I shook myself from my reverie. “I’m twenty-three now, and still don’t understand so much. I wish you were really here to talk to me and tell me about your life,” I said sadly to my interred great-grandmother. “Why does Niall still ask me to come? Last year, I hardly saw him. I spent all my time with Claude and Siobhan.” Siobhan was my tutor. She taught me to speak Sylvan, and the history of the Brigants, and all about the Fae. 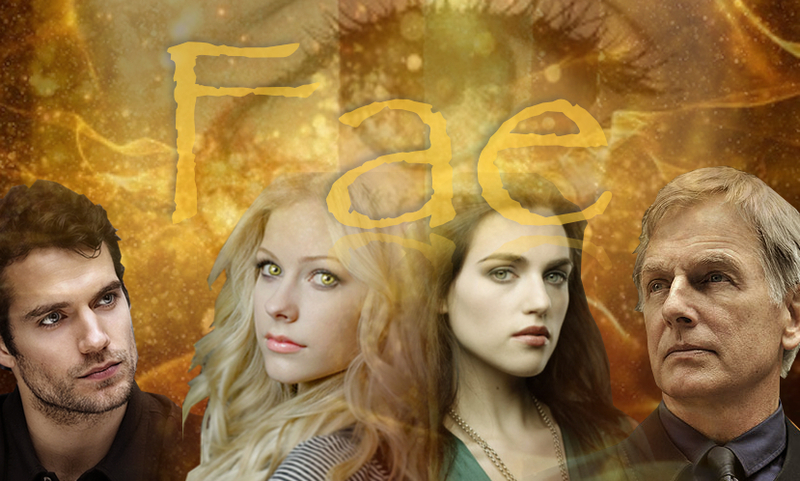 Well, maybe as much about the Fae as I could learn, not being fully one myself. They took for granted that they are born with so much innate knowledge, that I still found myself confused and bumbling at times while I was there. There. I had said it, out loud. To someone safe, granted, dead was very safe, but I had finally voiced the feeling I’d been trying to ignore for the last year. “I’m not really a fairy. I’m even less of one than you were, but everyone treats me like I’m the second coming – lost princes, and the thing is, I know I’m not. I’m just… me. 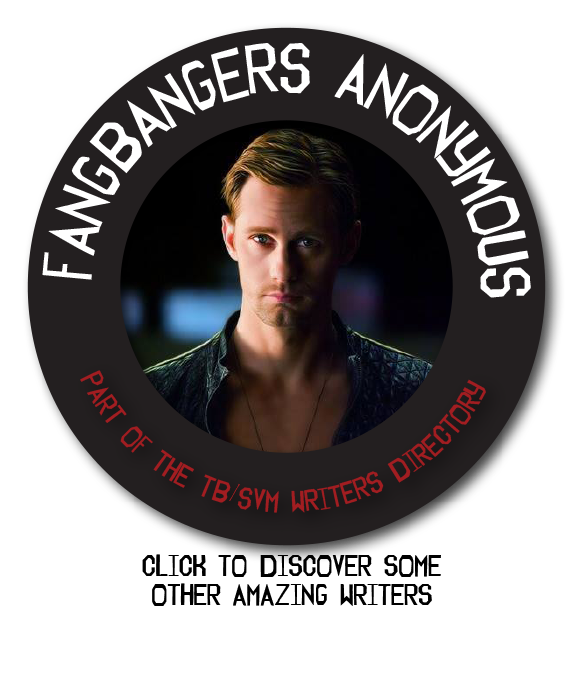 I’m not a shifter, even if Tommy is, and I don’t fit with his set. I’m not a human either. They take one look at me, and have the opposite reaction the fairies do. They can’t get away fast enough. I’m too strange. I know you understand… You’re the only one that could.” Longing, overwhelming and simple, overtook me. I wished she could just hold me, and tell me how she managed to garner the love of everyone who met her. I didn’t linger on the fact that a lot of people had also tried to kill her. I brought the watering can up to the leafy pothos, then stroked its fat, mottled green leaves as I always did, willing my little bit of magic to enter it, and help it grow strong. I felt the warmth leave my fingertips and enter the peaceful little plant, knowing my insignificant little spark was the reason this plant never died, and remained with my Great-Gran, always green and vibrant. It made me feel… less small. Maybe a little readier to go back to Fae and pretend I felt anything like a princess. I moved away from Sookie’s grave, and began singing to the plants I tended on each of my family member’s plots. Tommy, my older brother, was the last of my family outside of the fairies. He was a shifter, (my mother and father had been shifters as well, but my mother died delivering me) and had his own life in New Orleans. We rarely saw each other anymore, since I had decided to stay at the homestead when our father died. I knew he had gotten pretty serious about a Were, and was contemplating marriage. He had always wanted a large family. I hoped it happened for him. My brother was a good man. We stayed apart so that I could live more normally. He didn’t want me getting involved in two-natured politics. I knew from reading the Sookie-Book, his fears were not baseless, and loved him all the more for it, even as I mourned our distance. My immediate family had never lived in the old farmhouse. It was a place to visit on weekends and holidays, but we had grown up in Monroe. Monroe was large and bustling. It had not always been so, but had steadily grown from small town, to major city before I was born. It had been home. I went to school at LSU until my father got sick. This year, I would have graduated with my BFA in English Literature if I had not quit in December to take care of my daddy. He went quickly. At least, there was that. It wasn’t years of sickness and misery. One day we were sitting at lunch planning his treatment, and completely optimistic, and a few short months thereafter, he was gone. Pancreatic Cancer. He was in pain… so much pain, I thought I knew what hell looked like, until the next day came and it was infinitely worse than the one before it. Then, he was gone. Irrevocably. He was cold, and frail, and gone. Wasted away to nothing of the robust man he’d been, missing the light in his gentle blue eyes. Missing from my life. I’d never see his skin crinkle around his eyes as he smiled at me with a teasing jab about my pseudo-life in books, never again hear his low growl of protective displeasure if some boy’s eyes lingered too long in my direction. I wondered how long he had ignored how sick he was. I wondered, if I had just stayed with him if he would’ve sought treatment sooner. I wondered if I had just been less selfish, and payed more attention to him, if I’d still be able to hug him, and hear his booming laugh whenever I wanted. I broke a little more inside. I stroked the plain rectangular headstone that was my family’s newest addition to the Bon Temps cemetery. “I miss you, Daddy.” I felt a tear slide down my cheek, and knuckled it away. I was here to celebrate love, not pine for it, damn it. My father inherited the Stackhouse property when my grandfather died. He moved us in when he was diagnosed. I think, he wanted to be where generations of our family lived and died when he finally said goodbye. I knew the place was special, and I found that, even though he had breathed his last in that house, and it was an infinitely painful memory, I could never again live anywhere else. It called to a piece of my soul, and I wasn’t going back to Monroe. Wasn’t going back to school, and the carefree me that I had been. This was home. So, I stayed. I read. I worked at the library. I kept to myself. I loved the peace the out-of-the-way property afforded me. Small towns don’t welcome new people into their inner circles quickly, and, though the Stackhouses and Merlottes had been in the community for as long as anyone could remember, all anyone did remember was that we weren’t normal. Maybe acting like a princess was difficult for me because most of my existence was spent feeling like I was less than…. well, everyone. How’s that for keeping you humble? The sun was now feeling very hot. I had intentionally come at sunrise to escape the heat and mugginess of the early Louisiana summer, but it must have been nearing noon. Had I really dallied here so long? Hunger pangs confirmed that it must be later in the day than I had intended, so I gathered my little tools, ran my fingers lovingly over the little plants I kept green and healthy, passing them more of my little magic, and, with a song on my lips, made for home. I didn’t think about anyone being around to listen. The nearest residence was an abandoned old mansion across the cemetery. That place had been empty for generations, and, if any passing Fae heard me, they would recognize the song of kin, and not think twice. I had five days left to do as I pleased before I left for Fae. I was already on vacation from my work at the library, and no commitments compelled me other than those I had with Forsyth and Dickens. Anabelle Sookie is the carbon copy of her great gran Sookie. I’m glad that Anabelle dealt with her telepathy with the Sookie-Book! Is Eric going to introduce himself to her? I think Anabelle knows that she must stay there in BT this summer instead of going to Faery with Naill,maybe she’s going to meet someone special(Eric)!! Nan is a lot like Sookie for sure! I wanted to explore some abstract concepts with her character including a nature vs. nurture kind of thing since Anabelle was raised by supes pretty exclusively. I don’t want to give away plot twists, but I’d love to hear your thoughts on her Sookie-ness later on!! Thank you so much for taking the time to comment!! Like that she has residual powers-the things you would expect. When I read about Claude I have that uncomfortable breeding program concern. They are a dying race and she has gifts. Good background. I’m having the same fears….. Hmm. More to read. yay! LOL I like the way you think! !